The first pairing announced is rich painted walls and a Moroccan rug. 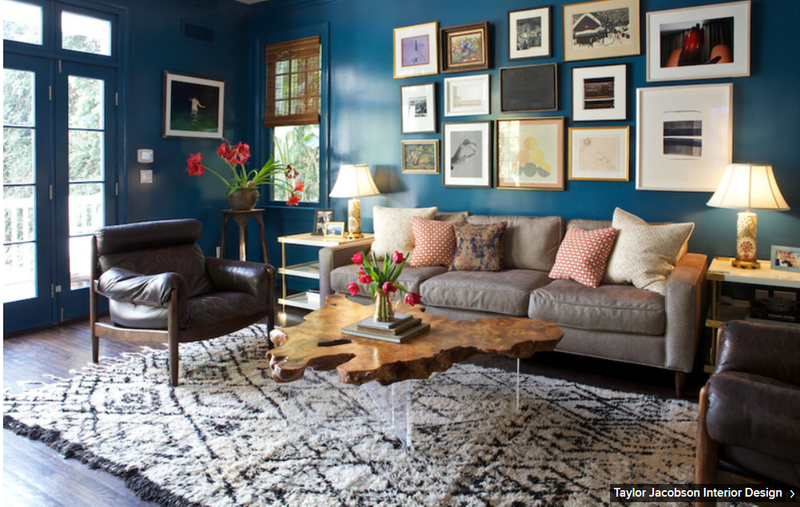 For example you can use peacock blue, a bold choice for walls. The intense colour enhances dark leather furniture. The Moroccan rug goes with anything and adds a splash of personality to the room. For more pairings, read the entire article here: Houzz.com article.